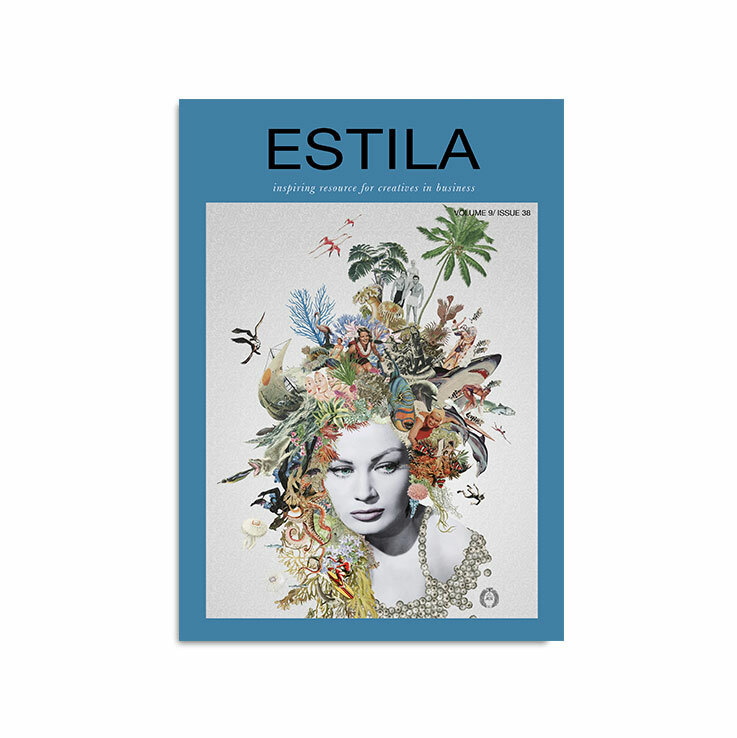 ESTILA Vol 9 is all about progression. We feature interviews with creatives, independent brands and artists, telling stories of progress and growth. 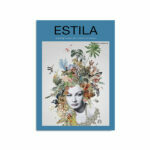 The stunning cover is by artist and collagist Maria Rivans. 1. Our cover story is the interview with Maria Rivans, in which she shares her journey of perseverance and progress. 2. 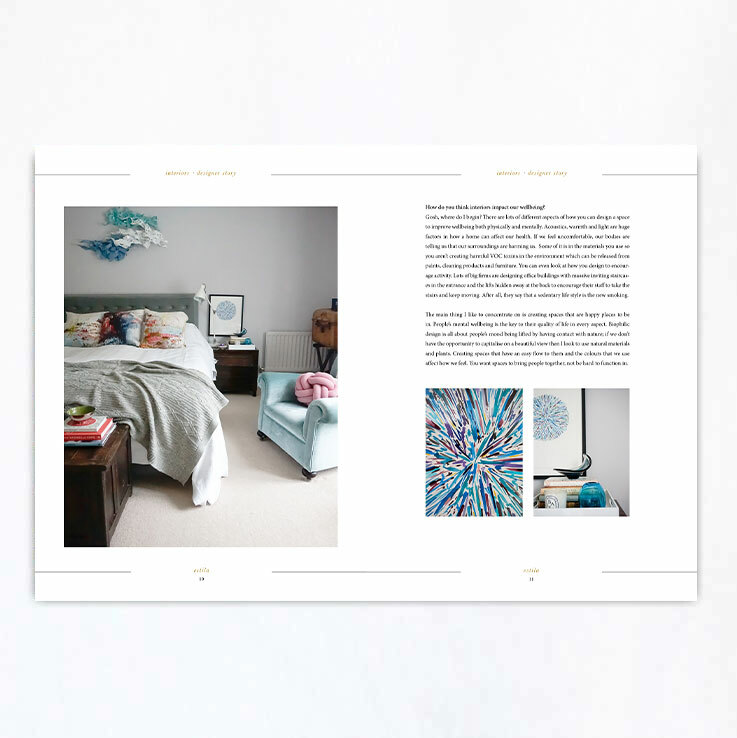 We explore the story and amazing interiors designed by Phoebe Oldrey from Smartstyle Interiors. 3. We discovered a new homeware brand Avalana Design and talk to its founder and creative director about their stunning collection. 4. We caught up with Athina Bluff from Tolopogy Interiors, an award-winning blog and interior design brand that is going from strength to strength. 5. We talk with Kim Shaylor from Gone Rogue about doing things differently in the art world. 6. We also chat to Nana Rasoeva, the founder of The Hour London, a newly launched plus size womenwear brand, solving a real problem in the market. 7. 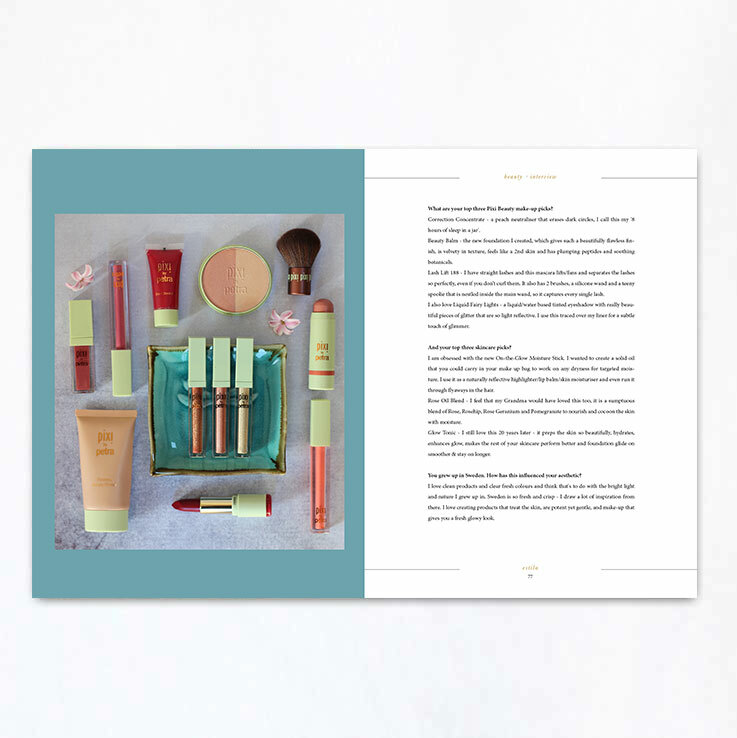 Nicola, our beauty editor, interviews Petra Strand, the founder of Pixi Beauty – a global and successful makeup and skincare brand. 8. We also take a look inside the beautiful Artist Residence, stimulating all creatives senses. 9. 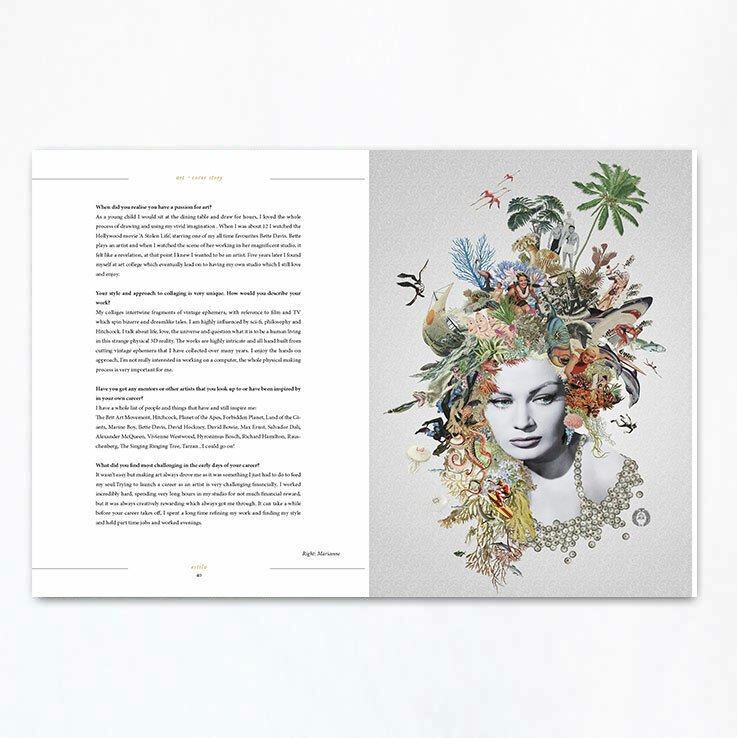 In our business section we have exclusive extract from a newly launched Erica Wolfe-Murray‘s book for creatives in business. Our magazine is a luxurious product printed on a beautiful paper, which you won’t ever want to part with. POSTAGE OF £1.90 WILL BE ADDED AT CHECKOUT. This edition has a bonus. You get two mini editions in one. Read our usual content and then flip it over to get into the stories, focusing on sustainability.